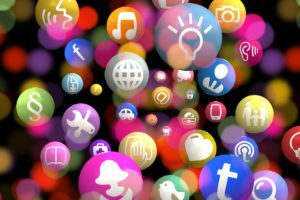 Share the post "10 Post Ideas for Car Salespeople to Increase Social Media Engagement"
They repeat the cycle over and over again and it becomes so predictable that it’s too easy for followers to tune these posts out. Before I share these ideas, I want to clarify that I’m not saying you should stop doing the 4 types of posts above. Keep doing them because they will promote your brand, let people know what you do, add social proof, and allow followers to get to know you. But do not limit your social media feed to just these types of posts! I want you to consider adding variety to what you share to make your posts more relevant and interesting to your audience. Here are just 10 additional ideas for your social media posts. For each one, there are many applications! I offer a few examples but you can always add your own. Each category can be a video or a written post and is suited for most social media platforms: Facebook, YouTube, Twitter, Instagram, LinkedIn, etc. 1. Advice/”How to” Message – this category is the most underutilized and the most critical to raising your higher authority-based influencing. If you do this, it will help your customers see you as the expert that you are. Think of typical questions people ask when they go shopping for a car or typical issues you run into when you’re selling a car. Help your audience understand the car buying process, even if it’s not at your dealership! Ideas for posts in this category: How to improve your trade value, how to select the right vehicle, how to decide on a lease vs. purchase, how to improve your credit, or how to find the right dealership/salesperson to do business with. 2. Vehicle Tutorials – this is not the same as a vehicle walk-around. Choose 1 feature or 1 helpful piece of info that car owners will find useful and do a post on it. Examples: how to set up Bluetooth, how to program radio stations, or how to program the garage door opener. The idea is to provide an answer to a common question. 3. What you love about your job – people like doing business with people who love what they do! Your job or dealership doesn’t have to be perfect for you to like something about it. What is your favorite part of selling a car? What do you like about the car business? What do you like about the brand you sell? Do a video highlighting your personal likes or share your thoughts in a post or blog. 4. 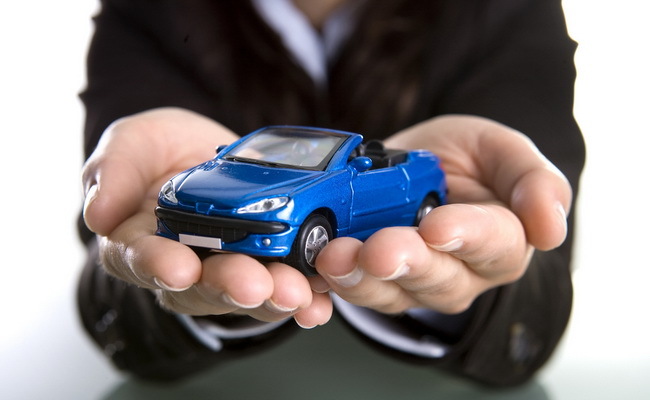 “What to Expect” Post – Most people buy cars every 3 to 7 years. Do you assume that your future customers understand what will happen if they come to buy a car from you today? Create posts where you share what they’ll expect from you and your dealership. Highlight essential parts of the process as well as unique things you’ll do as part of your personal brand. 5. Demonstration Drive – take your customer on a drive-along! This category may be more conducive to a video format. For some of the ideas, you may also need to do some advance planning or get help from a colleague. Don’t limit yourself to a video of yourself driving! Take your best-selling vehicle and have a colleague tape you as you showcase specific aspects: turning radius, acceleration, or how a back-up camera makes it a safe vehicle. 6. Facility Tour – many people are hesitant to go inside a dealership because of negative past experiences, so help them become more comfortable by doing a video facility tour or writing a post about it. Describe your dealership’s unique competitive advantages, share your awards, or do an overview of customer amenities. 7. Interview with Management – why do customers have to meet your GM or sales manager only when they come to buy a car? Create posts where you interview your management. Ideas for interview topics: why they hired you, their satisfaction guarantee, the history of the dealership, or their mission statement. 8. 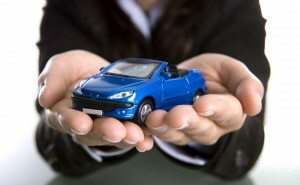 Interview with Finance – many customers face financial obstacles when purchasing a vehicle. Interview your finance office to help your followers understand how they can make the process easier. Some potential topics: key areas banks look at when financing a vehicle, how to prepare for the next car purchase, or what types of financial challenges your Finance Department is able to handle. 9. Interview with Service – introduce your Service Department to your audience by interviewing key members. What are some of essential check-ups that a vehicle should have? Why should you choose them for service? What commitments do they provide? What types of problems can they help with? 10. Your thoughts about the car business overall – educate your audience about the automotive industry and car buying trends. You can create your own posts or share informative articles written by industry experts. Share what is happening nationally, what is happening with your brand, or what is happening with your local market. You could do at least 10 different examples in each one of the 10 categories I shared, so it’s really more like 100 ideas for your future social media posts. If you do 2 ideas per week, this will give you enough social media content for an entire year! Add more variety, interest and wider application to your posts and you will see more engagement and eventually more business! Do you want more sales training like this? If you’re a dealer or manager, contact me at jon@sellchology.com or (866) 769-8083 to bring Sellchology University to your store. Jonathan consistently provides the most timely and useful information for salespeople. This article is filled with “Actionable” tips. Great ideas as usual from you Jonathan, Thanks! Great ideas! I am going to implement some of these. Jonathann are you going to add these in a videoto sellchology? It is great advise. Excellent tips to break the mundane social posts. I have a few friends who are car sales professionals and they all do the new sale customer pic post. It’s nice to know they’re selling cars, but it would be nice if they mix it up a bit. Thanks for the tips!